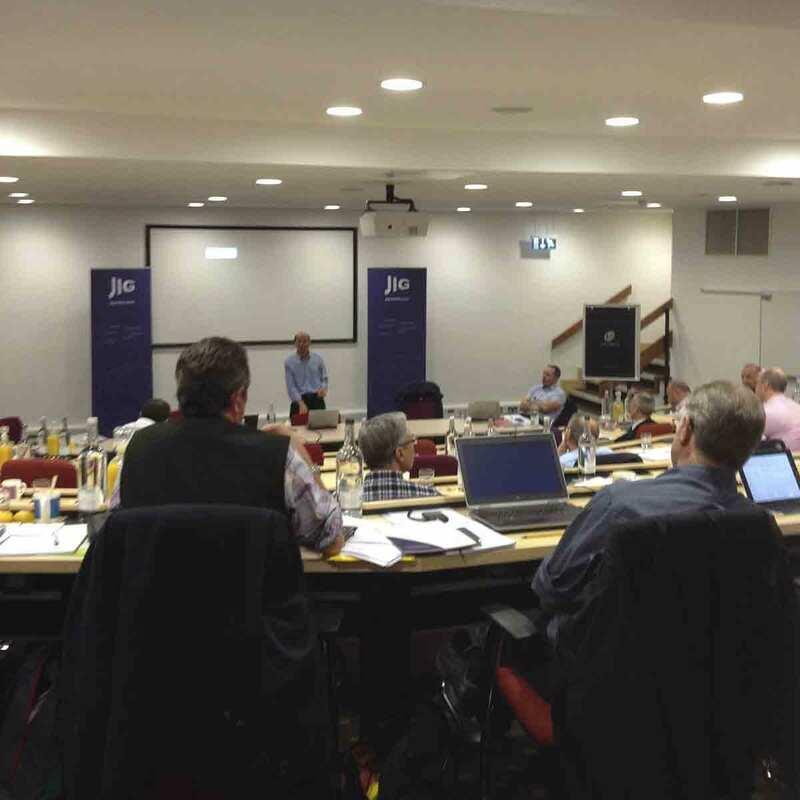 It’s been a busy time for JIG recently with Workshops, Technical forums, Conferences and new Publication launches. JIG could do more on communication, and there are some initiatives being developed to ensure we have all the member contact details up to date and can make sure all JIG changes and developments get communicated to the right people promptly. There is support for JIG maintaining the quality and integrity of the JIG Standards and Inspections, but equally to play a part in other industry initiatives that enhance safety or Quality Assurance globally. Feedback that we need to consider the wider JIG membership, beyond the original members and JV structures, was understood and future activities will reflect that. 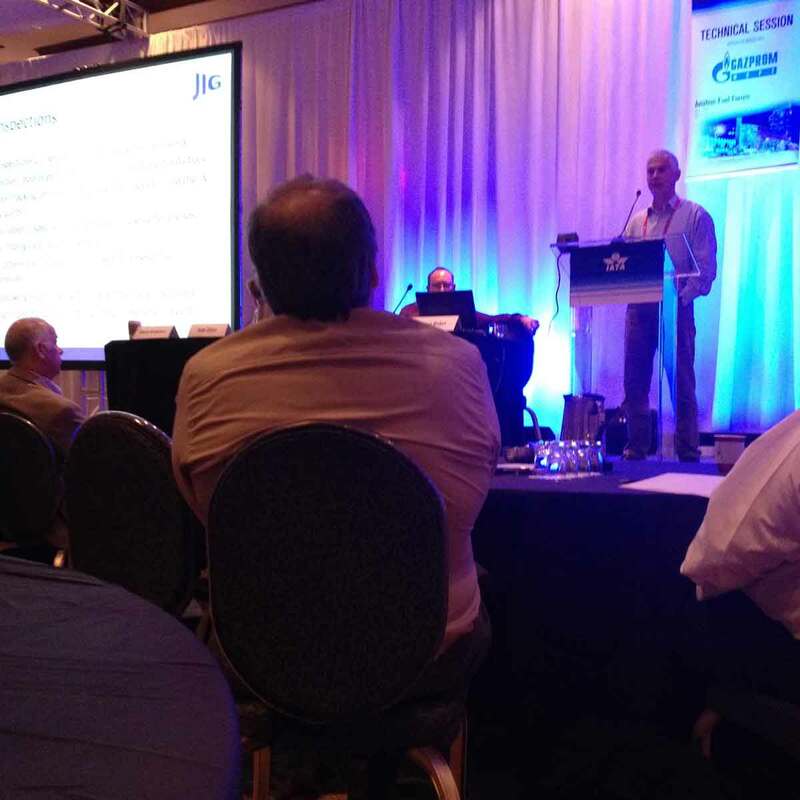 As always JIG was well represented at the IATA Fuel Forum with a number of JIG presentations supporting the programme. JIG council and Guarantor Members were particularly evident with participation from Andy Chubb(AirBP), Michel Campos (Total), John Buxton (Q8) and , as ever informative and entertaining, Mike Farmery (Shell). In the joint sessions, ExxonMobil contributed to the Fuel Quality debate and a number of other areas were supported by JIG members. There was some updates on the Quality Assurance task force where JIG are represented by Mike Farmery, John Buxton and Tony Conway and discussion around the JIG Standard being part of a package of industry supported global Standards. 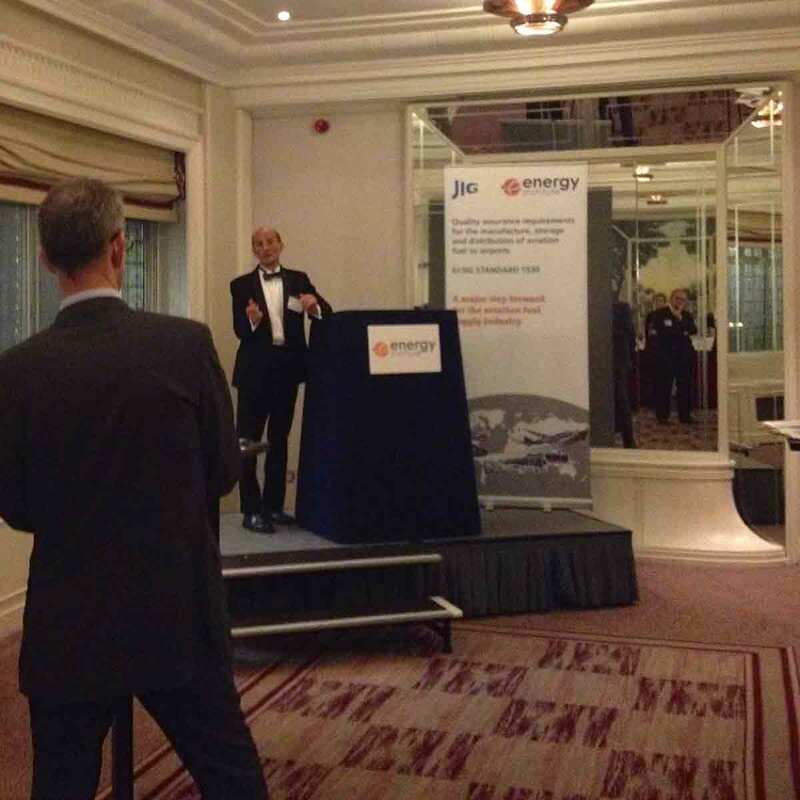 A highly successful launch of the new joint Energy Instsitute/ JIG publication took place in London. EI/JIG Standard 1530 has been produced in response to the concern that there was not a single standard that parties could work to and reference for the management of aviation fuel quality. This had been identified as a priority by the International Civil Aviation Organization (ICAO), which referenced EI/JIG Standard 1530 in its Doc 9977 Manual on civil aviation jet fuel supply, issued to the civil aviation authorities of the 191 Member States of ICAO. EI/JIG Standard 1530 will assist those responsible for the management of aviation fuel quality, from the point of fuel manufacture and its storage, through distribution and transport systems to airports. It provides mandatory provisions/requirements and good practice recommendations for the design and functional requirements of facilities and operational procedures. EI/JIG Standard 1530 is intended for adoption worldwide, by any company or organisation involved in the refining, storage, distribution or transport of aviation fuel upstream of airports. This includes those responsible for the design, construction, operation, inspection or maintenance of refineries, pipelines, marine vessels, coastal/inland waterway barges, road tankers, rail tank cars or storage installations, and aviation fuel testing laboratories and inspection companies. EI/JIG Standard 1530 incorporates and updates the content of JIG 3 Aviation fuel quality control and operating standards for supply and distribution facilities, Issue 11. To this has been added new material derived from company proprietary policies, standards and procedures. The content is founded on decades of proven operating experience.